The Best Ophthalmology Youtube Channels from thousands of Ophthalmology Youtube Channels in our index using search and social metrics. We’ve carefully selected these youtubers because they are actively working to educate, inspire, and empower their audience with frequent updates and high-quality videos. About Youtuber Ophthalmology Times is a physician-driven publication that disseminates news and information of a clinical, socioeconomic, and political nature in a timely and accurate manner for members of the ophthalmic community. About Youtuber The American Academy of Ophthalmology is the world’s largest association of eye physicians and surgeons. A global community of 32,000 medical doctors, we protect sight and empower lives by setting the standards for ophthalmic education and advocating for our patients and the public. We innovate to advance our profession and to ensure the delivery of the highest-quality eye care. About Youtuber Ophthalmology is the branch of medicine that deals with the anatomy, physiology and diseases of the eye. This channel offers videos in ophthalmology education. About Youtuber The Eye7 group of hospitals has been committed to delivering quality eye care to people in the national capital region of Delhi for over thirty years. About Youtuber Welcome to my Channel. I am Dr. Randall Wong. I am a retina specialist, an ophthalmologist who specializes in diseases of the retina. I examine and operate on patients with diabetes, retinal detachments, retinal tears and macular degeneration. About Youtuber This channel will include short talks given by Dr Andrew G Lee about various neuro-ophthalmology topics. About Youtuber JAMA Ophthalmology is an international peer-reviewed journal that publishes original research, reviews, and commentary of interest to ophthalmologists and visual scientists. The journal aims to be the indispensable source of ophthalmologic knowledge for the generalist, subspecialist, and trainee and to publish innovative, clinically relevant research for the vision scientist. About Youtuber The Ophthalmologist offers reports on the research, personalities, policies, and partnerships that are shaping ophthalmology. About Youtuber Al Mashreq Ophthalmology Channel is dedicated to all things Ophthalmology. About Youtuber The official YouTube channel for the USC Roski Eye Institute of the Keck School of Medicine - a local and national leader in eye care services, and provides the most advanced surgical techniques and comprehensive care for patients. About Youtuber EyeSteve.com was created to educate, inform, and inspire all things eye by discussing various aspects of medical education, informing patients about eye diseases and innovative new treatments, and inspiring us all toward vision health and appreciation of the wonderful gift of sight. About Youtuber One of the few centers to specialize in all areas of vision care, Ophthalmology LTD treats patients of all ages for cataracts, glaucoma, and diabetic eye disease. We also provide corneal transplants, oculoplastic surgery, retina surgery, vitreoretinal surgery, and pediatric eye care. Serving South Dakota, Minnesota, and Iowa for 50 years, Ophthalmology LTD has earned a reputation as the region’s most trusted and experienced eye surgeons. About Youtuber Dr Moloney is a fellow of the Royal Australian and New Zealand College of Ophthalmology and the Royal College of Physicians and Surgeons of Canada. 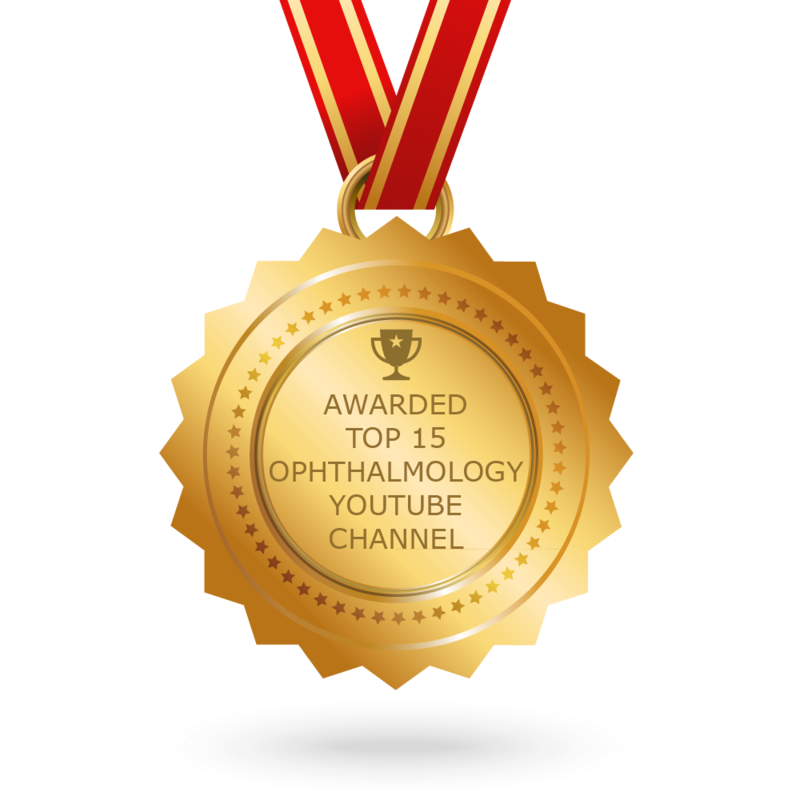 CONGRATULATIONS to every youtuber that has made this Top Ophthalmology Youtube Channels list! This is the most comprehensive list of best Ophthalmology Youtube Channels on the internet and I’m honoured to have you as part of this! I personally give you a high-five and want to thank you for your contribution to this world.